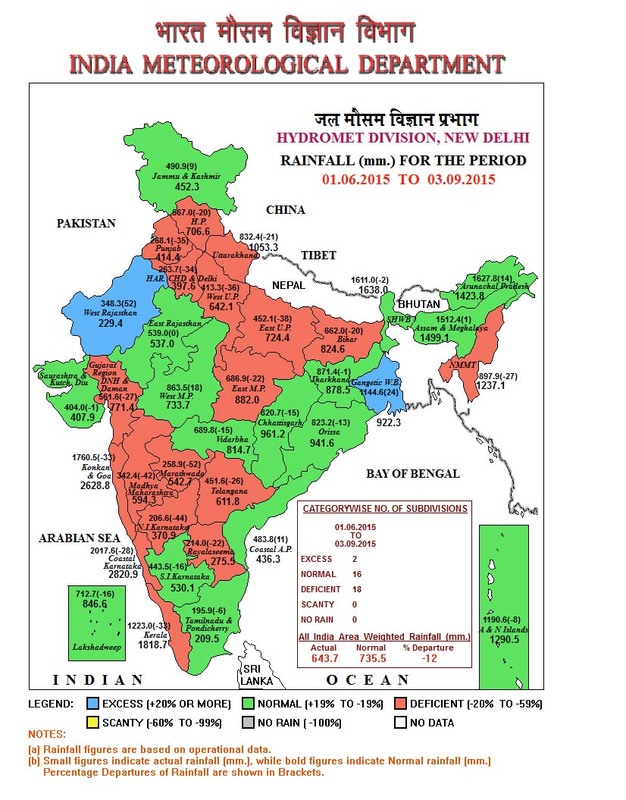 India Meteorological Department (IMD) website, here is the story in pictures. 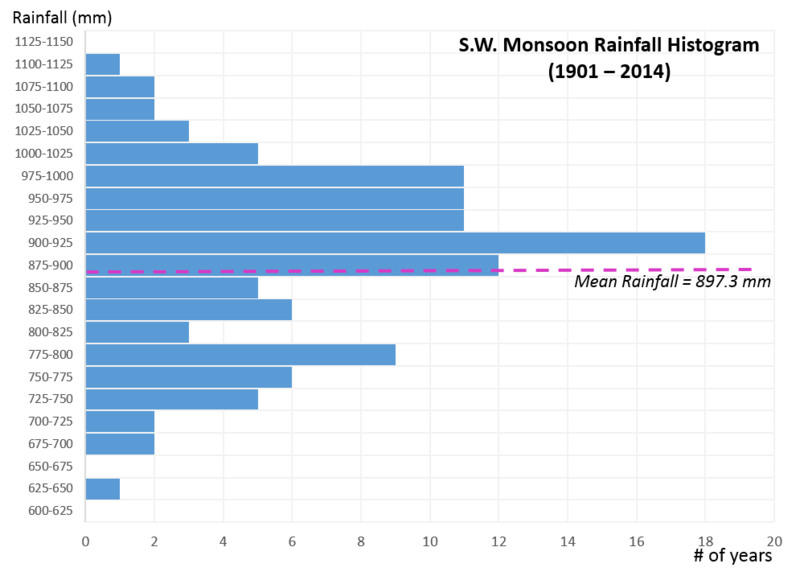 2015 monsoon till date has been grossly insufficient and with just Sep 2015’s data to be made available, things don’t seem to be looking too bright. With days like yesterday, I am not sure if the rest of the days left in this month will make good the gap. So, in addition to the external stories weighing down on the stock market, this internal will, no doubt, add impetus to the decline. Maybe the efficient markets have factored this in, maybe not. The Indian economy may be resilient to droughts but it is certainly not drought proof. If you look at the charts below, the heavens have not been too kind over the last 15 years. Looks quite similar to the decade at the start of the 20th century. I think we will end the 2015 Monsoon season at the 750 – 775 mm of rainfall band.